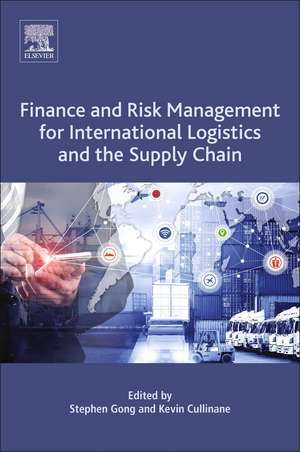 Finance and Risk Management for International Logistics and the Supply Chain presents a detailed overview of financial and risk management tools, activity-based costing, and multi-criteria decision-making, providing comprehensive guidance for those researching and working in logistics and supply chain management. The book breaks new ground, combining the expertise of leading authorities to analyze and navigate the funding components for these critical transportation functions. As the international logistics and supply chain transportation fields have recently received heavy investments, this research and the theory behind it provide a timely update on risk management, finance and legal and environmental impacts. 1 – Transportation researchers involved in planning, modeling, and economics, and senior undergraduate and graduate students enrolled in transportation programs; 2 - Practitioners, analysts, venture capitalists, and consultants employed in private sector transportation interests, such as freight companies, airlines, and equipment manufacturers 3 - Government entities, such as state and federal departments of transportation.